Team Texol includes internationally trained, skilled and experienced technicians in all aspects of pilot plants and who have worked on many national and international projects. 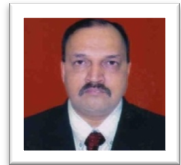 Mr. Vijay Kumar K. P.
A rich experience of design and project execution of Laboratory/Pilot/Mini Chemical Plants for research, process innovation, market seeding, technology demonstration, etc. The job profile comprised entire gamut of process engineering activities starting from concept or design of experiments to the final stage of commissioning and plant handover to the client. Widely traveled domestic and overseas, worked in close cooperation with some reputed world wide engineering companies on consultancy assignments and possess good commissioning and trouble- shooting skills. Bachelor of Mechanical Engineering (BE) 1985 from Regional Engineering College, Madras University. Master of Design (M Des) 1987 from Indian Institute of Technology, Bombay, India. 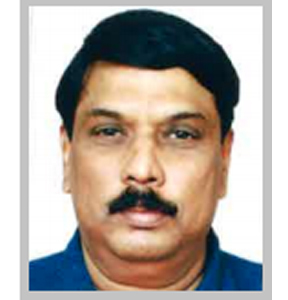 Vijay Kumar is a Mechanical Engineer and Post Graduate in Industrial Designer from Indian Institute of Technology with more than 22 years of experience in the field of Engineering, Construction of Chemical Pilot Plants, Lab Scale Plants. 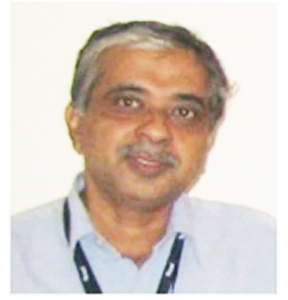 He has hands on experience on all the aspects of Pilot Plant Design, components and their maintenance aspects. Major assignments/projects completed / participated in over last 15 years: Mr Vijay Kumar has been in-charge of Pilot Plant Engineering and Construction for the past 15 years. He has also been the team member in various projects executed abroad for China, Kuwait, Mexico, South Korea, Malaysia, Italy. 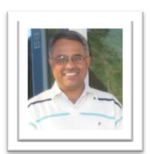 Dr. Pande has more than 22 years of professional experience in process engineering and making techno-commercial proposals. In Xytel, he has handled business development single handedly and was instrumental in taking Xytel India’s business from a few lakhs to a very respectable figure in crores. Over the years, he has developed a strong client base which includes public and private sectors as well as research establishments in India. By extensively traveling in most of the foreign countries, he has established excellent contacts and business tie-ups with various reputed overseas companies. Consequently, he has gained rich experience in terms of sourcing and doing business abroad. This has resulted in developing an excellent network and personal contacts all over India and abroad for him. He possesses excellent negotiation and project coordination skills for achieving positive. More than 30 years in the field of Finance, Legal, Labour, HR, Administration and IT. Handled Amalgamation of companies, Merger of companies, Closure of Unit. Leader of a team for ERP Implementations (Scala 5.0, SAP, iScala 2.3). Currently, Director of DeLaval Pvt Ltd (Swedish Multinational), Texol Engineering Pvt Ltd, V K Pump Industries Pvt. Ltd., Envirosys Research & Development Pvt Ltd.
Subodh has earlier worked with Xytel India Pvt. Ltd., Pune as Process Design Engineer, (2002 to 2004) and PRAJ Industries Ltd., Pune as Lead Process Engineer (2004 to mid 2006). He has a wide experience of process design, execution and commissioning in the Process Industry. The projects and companies he worked vary from Pilot/Mini/Laboratory scale plants for research and academic demonstration to large capacity commercial plants for actual production. His expertise involves concept analysis, process design, project execution and project management, technical discussions, client communications, preparation of Basic engineering package including PFD, P&ID, Mass balance, Process commissioning, trouble-shooting and operator training. An exposure to work internationally with some reputed clients has further sharpened his profile. To list few important projects (a) Methanol to Olefin Pilot Plant for UOP, USA (Tech.) & Atofina, Belgium (end user) (b) 380 KLPD Bio-ethanol Production Plant for Reputed Client in Turkey. Hands on Experience in Plants such as Fixed bed reactors, Catalyst deactivation Units, Catalyst testing units, Desulphurization pilot plant, Hydrogen generation units, Reformers etc. Rahul has earlier worked with Xytel India Pvt. 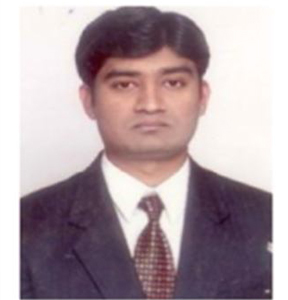 Ltd., Pune as Process Design Engineer, (2001 to 2005), PRAJ Industries Ltd., Pune as Lead Process Engineer (2005 to 2007) and Dodsal Engg. & Const. Pvt. Ltd., Dubai (2007 to mid 2009). 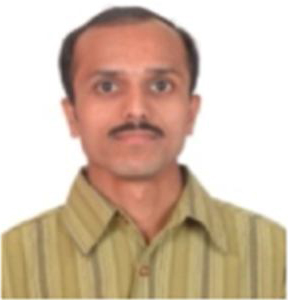 He has more than 12 years of professional experience in process engineering. He has a wide experience in Process design and commissioning of Petrochemical Pilot Plants, commercial scale plants for Ethanol as well as Refinery upstream operations. His expertise is in design, construction, testing, start-up and commissioning of various types of pilot plants in petroleum/refinery and petrochemical sectors. His experience involves design and commissioning of Hydrocracker & Hydrodewaxing Pilot Plants.